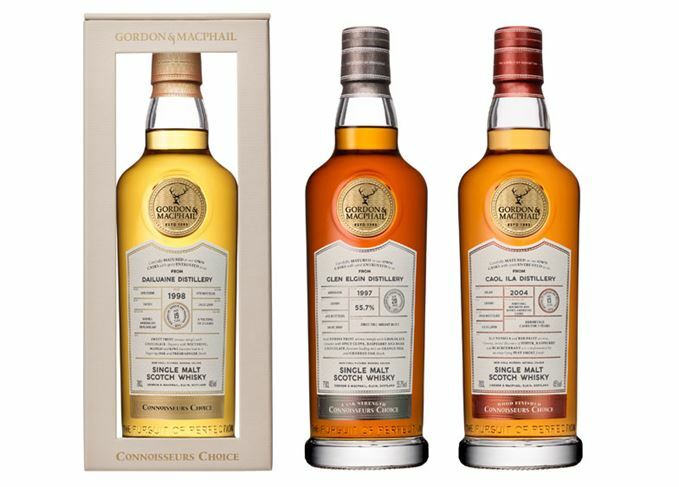 Gordon & MacPhail has overhauled its range of independently bottled whiskies in an effort to modernise the 122-year-old company. The Elgin-based business, which also owns Benromach distillery in Speyside, is cutting the number of its independently bottled whisky ranges from 14 down to five. At the same time, the business will present a new look for the five ranges to remain: Discovery, Distillery Labels, Connoisseurs Choice, Private Collection and Generations. Stephen Rankin, director of prestige and fourth generation member of the Urquhart family, owners of Gordon & MacPhail, said: ‘As we begin a new chapter, we are streamlining our portfolio to make it more accessible for our consumers, placing their desire for products with heritage, authenticity, and provenance at the heart of each range. The first range to relaunch will be Connoisseurs Choice, which marks its 50th anniversary this year. The range will feature small batch, non-chill-filtered whiskies ranging from £70 to £500. The new-look Discovery range, described as ‘the welcome to the G&M portfolio’, will also launch later this spring, with each bottle colour coded to allow consumers to navigate around the collection. Expressions will be divided into three main flavour profiles: smoky (silver label), Sherry cask-matured (blue label) and Bourbon cask-matured (green label). The Distillery Labels collection – a series of bottlings featuring historical labels – will launch in the summer, while the Private Collection range of more luxurious expressions will follow in the autumn. The next Generations range of ultra-premium whiskies, which in the past has included the oldest Scotch whisky bottled to date – a 75-year-old Mortlach distilled in 1939 – will be unveiled in the near future. Exploring a Gordon & MacPhail trio of 40% abv whiskies, including two Glens and an Ardbeg. From Ardbeg Drum to Littlemill 40, this week’s reviews run the length and breadth of Scotland. It’s a feast this week with Octomore 10, Rosebank Jealousy and a Sherried single grain. Independent bottler Gordon & MacPhail has revealed designs for its whisky distillery at Craggan.